If you need a new wood or steel structure, we build it. And we do a great job. 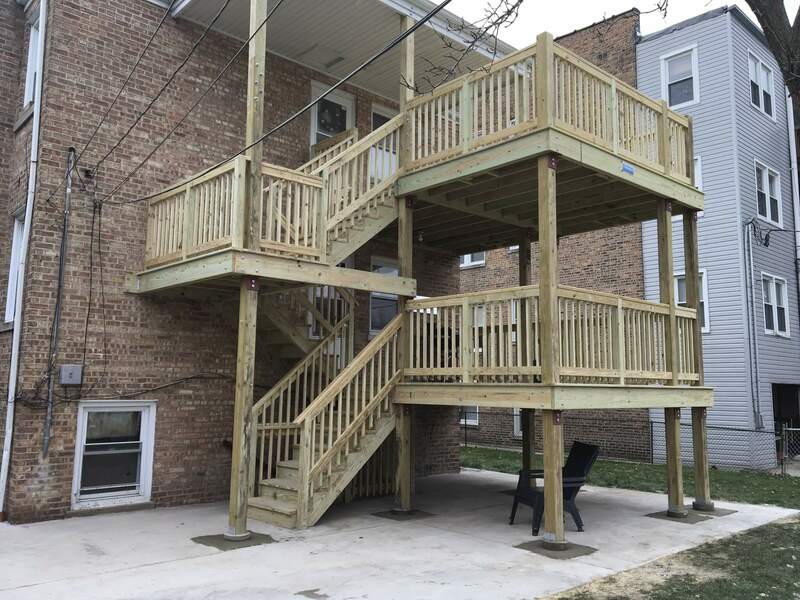 Throughout Chicago and Chicagoland, we’ve built hundreds of porches, steps, decks, rooftop decks, multi-story staircases and porches, and balconies. From full design and permitting to a demolition of any existing structures to pouring new concrete footings or retaining walls to the actual construction to ensuring our work passes inspection with flying colors, we do it all and have you covered. It is always a good idea to initiate a new construction instead of repairing the old one. Of course, it does appear heavy to the pocket but one time investment is better than having renovation and maintenance costs of the old structure. Starting from the initial drawing, our team is ready to collaborate till the last nail is drawn. We set up our meetings in all stages of development and take care that all the decisions are made according to our customer’s desires as making our clients happy and satisfied is our goal. We hold the contractor license and also carry liability insurance to safeguard our customers. 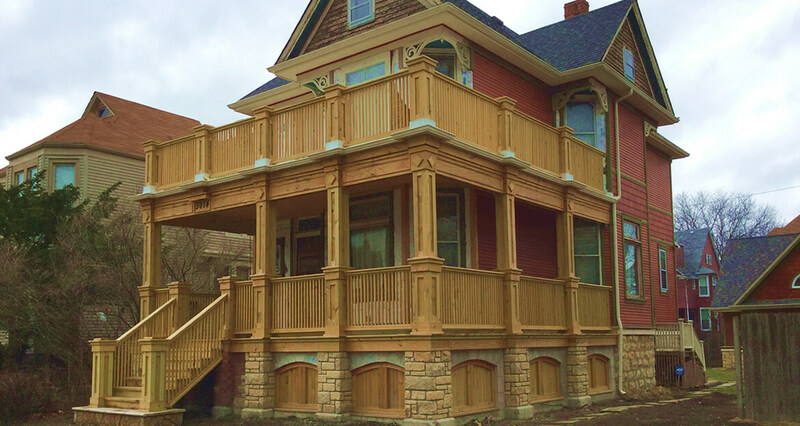 Our porch construction team provides complete installation which is durable and lasting. The team meets the complex requirements of installation successfully. Every other day they are exciting additions in materials, colors and accessories which are hard to resist once you decide to build a new structure. Also, we can give you ideas of the most modern, lasting and durable accessories. The valuable experience of our builders can help you finalize the wood, azek, composite or lumber. In the recent years, Mr.Porch has gained confidence among its customers as they rely on the advices provided and have seen the promising work.